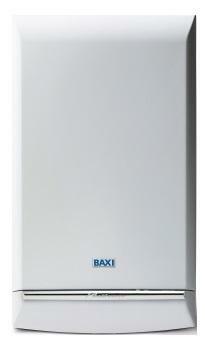 The Platinum Combi 33 Gas Boiler is a wall mounted model by Baxi. This boiler is a highly efficient boiler. With it being able to adapt output to demand without switching on and off helping you to experience a greater and more reliable boiler. It comes with an efficiency rating of 33kW, is A rated for both heat and water, and has an energy efficiency rating of 88.9%. This boiler has an exceptional flow rate of up to 13.5 litres per minute to make sure you never have to worry about not having hot water. This boiler features a built in frost thermostat meaning it can sit in a garage or loft without risk of freezing. Coming with a wide range of compatible multifit flue kits leading choice of lengths and bends and accessories to help you to be able to place your boiler anywhere in your home. As well as this it comes with high quality brass hydraulics making it easy to access for servicing helping you to save money. It includes an easy to use built-in mechanical clock, as well as a filling loop. This boiler features a pre plumbing jig, a pre-formed copper pipe tail, built in filling loop and one metre mains cable - with these it helps you to save money and time on the installation. This range is also available in 24kW, 28kW, 33kW, and 40kW, making the Platinum Combi able to fit anyones needs and any type of home. This boiler also comes with 10 years warranty.